Actress who is known for her work both in film and in television. 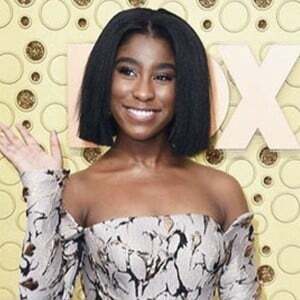 She is best recognized for having played Deja in the 2017 series This Is Us and for having played Tameka in the 2018 feature film Canal Street. She made her television debut as the character Lily in the 2015 series Sirens. She then starred in an episode of Chicago Fire in 2015 which earned her further attention. She is known for having won a Screen Actors Guild Award in 2019 for being a part of the Ensemble Cast of the series This Is Us. She shared a photo with her father to Instagram in October of 2017. She starred alongside Milo Ventimiglia and Mandy Moore on the NBC series This Is Us.